Experiments, tips & tricks and other 3D related content. If you have any suggestion what you´d like to see here feel free to contact me. EDIT: Some of the information is outdated. I will release a more up to date making of. This is my first project done with the new GPU render engine FStorm Render. I will start by covering how to download and install FStorm and how to set up HDRI lighting. 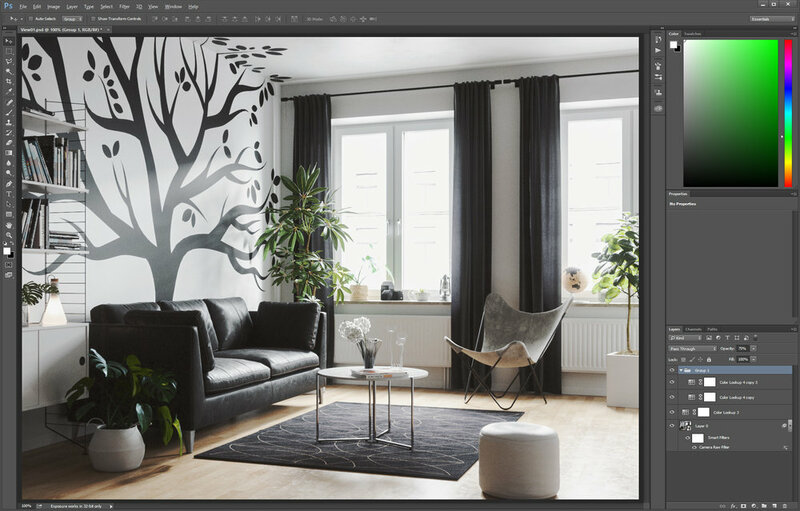 After that I’m going to dive in to the scene you can see images of below and cover how I set up the lighting, some of the materials and some post production tips. FStorm is a new GPU render engine that is developed by Andrey Kozlov. 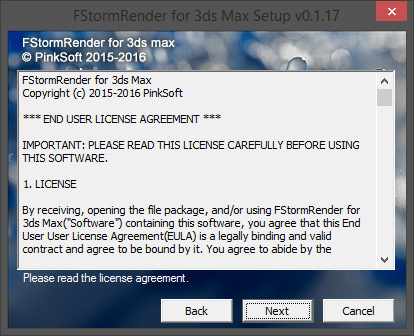 At the moment FStorm is only available for 3Ds Max, but other 3D softwares will be supported in the future. Only Nvidia GPU’s are supported and it´s always a good idea to update to the latest drivers. The installation is a simple procedure so you just have to follow the instructions. As you can see below, all the necessary render settings can be easily found in one single tab under Render Setup. The settings you see are the default settings in FStorm. So, lets dive in to the fun stuff. I thought I´d start off with some basic things…how to set up HDRI lighting. Start off by creating a new FStorm Bitmap. Make sure that the “Gamma” is set to “2,2” and “Mapping” is set to “Spherical Environment”. To load the HDRI you would like to use click on “None” next to “File”. Copy the “FStorm Bitmap” as an instance to the Environment slot in “Render Setup”. Don´t forget to tick “Importance Sampling” if the HDRI you are using have a sun, otherwise the sun will not appear in the render. Here´s a quick render showing that the HDRI lighting works. Lets start of with lighting setup in the project. I have done the same thing as I covered previously when setting up the lighting for this project. I´m using an HDRI from Cg-Source. These HDRIs have a great dynamic range. I have also enabled DOF and some Glare, however these parameters are very scene specific so you will have to experiment to find a good balance for your scene. For the lamp I have used a FStorm Sphere Light that I have put inside the glass lamp. Time for materials! I will start with the glass vase since I really like how glass and metals behave in FStorm. This is fairly basic glass material setup, but I added a noise to the bump slot for some irregularities and also a gradient to create a nice effect of the glass going from black to clear. Here are the settings for the FStorm Gradient and FStorm Noise. Next material is the carpet. I have used the same approach to the carpet as I would any fabric material. The original texture is plugged in to the “texture 1” slot in a “FStorm Mix” texture and a lighter version of the original texture is plugged in to the “texture 2” slot. These two textures are then mixed with a “FStorm Falloff” so the lighter texture appears at the grazing angles. Lets move on to the plant shader. This is how I usually set up vegetation. You can of course take this one step further buy adding color variation etc, but I felt this worked fine for this plant. As you can see in the image below I have used a “FStorm ColorCorrection” node between the original texture and the input for “diffusetex” and “translucencetex”. This is to have control mostly of the tint and the saturation on the plant and the translucency. For this plant I made the translucency a bit more yellow and also desaturated both the dIffuse and the translucency. The final material I will look at it is the metal for the lamp on the windowsill. Here I have added textures to the reflection and reflection glossiness to add a more old, used look to the metal. I have also lowered how much the texture affects the reflection glossiness since I felt the effect was too strong. There´s no diffuse in the material at all and the IOR is set to 6.0. The IOR value of 6.0 gives (in my eyes) a more deeper looking metal with a bit more contrast. Time for post production. First off all, I don´t have a strict post production workflow. My post production changes from time to time and also every scene needs a slightly different post work. I will go through the first image in this project, the other images had the same post production applied. Here´s the raw render that I got out of FStorm. I started off by opening the image in Photoshops Camera Raw filter and did some minor adjustments. I later had to change these based on the ColorLookup/LUT I chose. Here are the things I adjusted in Camera Raw. At this point I wasn’t completely happy with the image so I played around a bit more and ended up using 2 more LUTs with a very low opacity (about 20%). I then added those to a group and lowered the group opacity to 75%.